Words cannot describe what a home improvement or expansion project can do for not only your home, but for your life as well—you have to see it. These images are actual installations of the home improvement solutions we offer that will inspire your own customized creation. Glass isn't your only option. Feel the air and enjoy the view without worrying about insects thanks to our nearly invisible black aluminum screens. Rejuvenate your life with a Three Season or All Season Room. 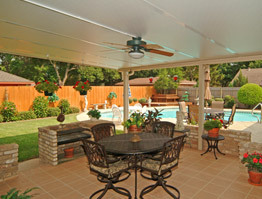 Gain a new perspective as you enjoy the outdoor view from these economical options. Surround yourself with beauty all day and all night. 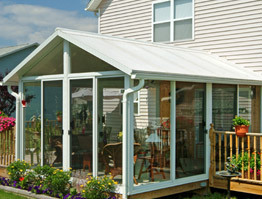 From top to bottom, Patio Enclosures Solariums gives you more view thanks to its glass roof. 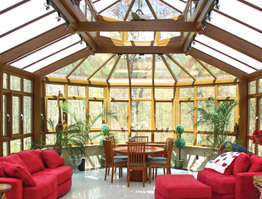 Highly detailed with elegant lines and beautiful views, conservatories offer a more robust level of detail and design. 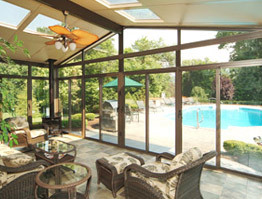 Sunroom kits offer the same legendary quality as a Patio Enclosures custom built and manufactured sunroom so you can rest assured that you are getting a quality sunroom kit. 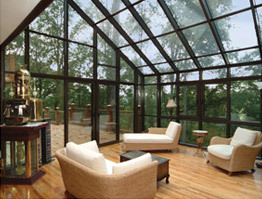 While adding a glass room addition to your home offers breathtaking views and puts you back in touch with nature, you may want to add an element of privacy and light control to your sanctuary. 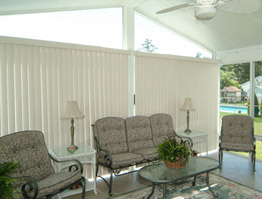 Choose from a wide selection of custom blinds and shades. 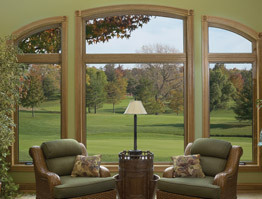 Stanek Windows delivers benefits far beyond style. These energy-efficient windows are engineered to outperform the elements and the competition. 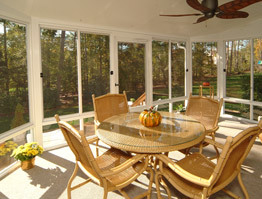 Entry & patio doors are customized to each homeowner's needs and unique style. 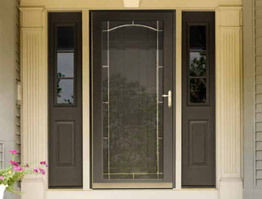 Add one of our professionally crafted entry or patio doors to your home to enhance its curb appeal and welcome guests. Great Day Improvements offers a wide range of styles and options to match with the current design and style of your home. 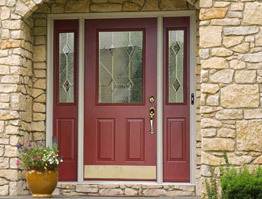 All storm doors offer a Lifetime Limited Transferable Warranty. 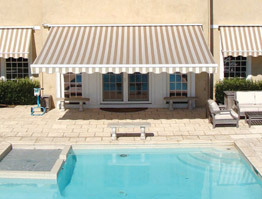 Retractable awning units are mounted to your home, and can be opened or closed at will using either a manual crank or an automatic remote. All window and door awnings are custom made and professionally installed so you can be sure you are getting the perfect product for your home and adding beautiful architectural details. Each patio cover is custom designed and professionally installed to guarantee quality workmanship and a product that meets your exact needs. 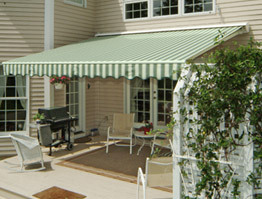 Enjoy an evening rain from your outdoor space under your patio cover. 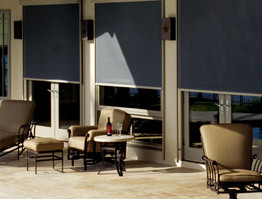 Designed to filter out up to 90% of the sun's negative effects, these shades will help reduce solar heat gain and give you privacy. They are applied externally preserving your view from the inside and fully retract into a self-storing cassette housing. 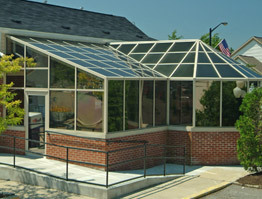 Enhance the look of your facility and bring the beauty and natural light of the outdoors in with our Patio Enclosures™ line of custom commercial glass and screen enclosures that are designed to meet your unique specifications and vision.